Spring is here and it’s time to get those caravan wheels rolling again for the new season. It’s also a great time to check your caravan over so your first trip is pitch perfect and goes without a hitch! Whether your ‘van has been laid up over winter or not, a Spring check could just avoid some common Bank Holiday mishaps – and make sure your caravanning adventures are trouble-free. Here at Caravan Guard, we often see a spike in customer claims at Easter and other Bank Holidays, particularly for accidental damage or incidents involving tyre problems. So, whether you’re an experienced caravanner or a newbie, we’d advise making sure you carry out some simple checks at the start of every season. Wheels and tyres – These are the most important aspect of your outfit. 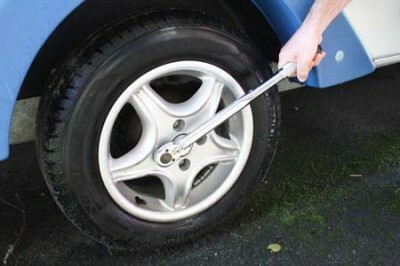 Examine your tyres for any damage, cracks or bulges and make sure they’re correctly inflated to the right pressure. Don’t forget to check the spare too. It’s good practice to replace tyres every five years, even if they’ve not been well used. TyreSafe has also recently launched an online tyre pressure calculator to make sure your tyres are correctly inflated – so why not give it a try! Also, check the torque settings of your wheel nuts before every journey – this will be detailed in your caravan handbook. Safe and secure – make sure all your safety and security devices are working, particularly your alarm, and make sure all registrations for any tracking devices are up to date and activated. Check the batteries in your tyre pressure monitoring system (if you have one) and make sure the hitchlock and wheel lock are all working too and that they are used when on site. Remember we do offer discounts for the safety and security conscious caravanner! 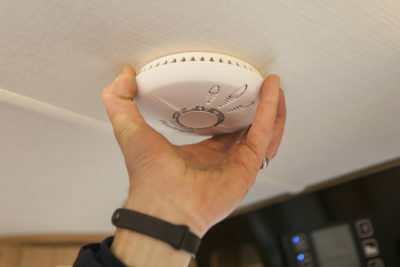 Fire safety – Test any smoke and carbon monoxide detectors and if you have a fire extinguisher check it’s still in date. Replace batteries if necessary. Water check – Flush out the fresh water system and check for any leaks or joints that might have blown due to ice and change the filter (if fitted). Also check the toilet cassette doesn’t have any cracks or leaks. Damp and mould – it’s time to air the caravan and look for any signs of damp or water ingress. Check windows, doors, skylights and the back of cupboards. Any mould can be removed with a mould spray or anti bacterial wipes (check the directions). Use a dehumidifier if it smells musty and then give the ‘van a good spring clean – inside and out! Handbrake and chassis – Check the handbrake is working effectively and not too stiff, as well as the corner steadies, and clean and re-grease if it’s needed. Battery – Check the leisure battery, clean the terminals and charge it up. Check the voltage to make sure it’s holding enough charge. 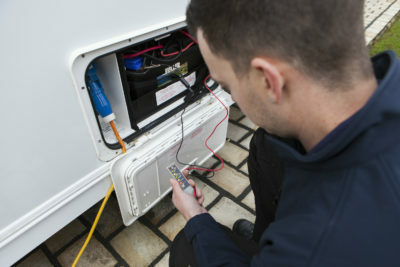 Lights, electrics and appliances – Check the road lights and electrical connections between the tow car and caravan are working properly and clean or remove any corrosion on the connectors with wire wool and then protect with WD40. Replace any broken or dim bulbs. 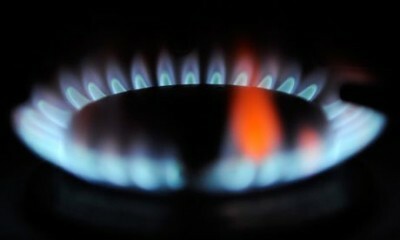 Connect your gas and check all appliances are working correctly, making sure the flames on the gas cooker are blue and that all gas hoses are still in service – high pressure rubber hoses should last for five years and will be stamped with the date of manufacture. Book a service – make sure the caravan is serviced by an approved workshop or engineer or get booked in for that annual check. Get the touring kit essentials of batteries, lightbulbs, gas, first aid kit and cleaning equipment together, plus blankets and wet weather clothing for those rainy days that are forecast this Easter! Most importantly, is your insurance up-to-date? If you don’t already have cover, why not call us for a quote or see more about our discounts here. Finally, don’t forget to plan your journey carefully and give yourself plenty of time to arrive and make sure you get plenty of rest stops. Check out our full pre departure caravan checklist. If you’ve got any top safety checks you think we’ve missed then please share in the comments section. Happy caravanning! One I found my pet hates is people flying the flag upside down, just like in the picture. Not sure what a bugle is in a tyre? Whoops well spotted Ernest! Sorry about that it’s now been changed to bulge! Well spotted Keith Benton. At least they are flying a real Union flag and not one where you can’t tell if its upside down or not. If you have changed your towing vehicle don’t forget to buy a new number plate for your caravan ? We have our first caravan and will be using it for the first time soon. I recently read an article that you should turn off the mover before connecting to the car electrics. You run the risk of damaging the caravan circuitry. IS THE CLUB IN DISTRESS?? THE FLAG IS UPSIDE DOWN?? NOT A LOT OF PEOPLE KNOW THAT?? I suspect they didn’t realise Keith.